Are the rats running inside your tummy? Is hunger irritating you? Do you want to have good food at you doorsteps? So, install TinyOwl online food order app on your Android smart phones to enjoy your favorite food at your doorstep. This application is developed by TinyOwl Technology Pvt. Ltd. having its head office in Mumbai. TinyOwl app is centered to major metropolitan cities of India namely- Hyderabad, Gurgaon, Pune, Bangalore, and Mumbai. TinyOwl is a location based food delivery app that intends to make food ordering and delivery process very simple and streamlined. This app is available for Android 4.0 and above versions. It has got a simple to understand, garbage-free user interface. You can install this app on your smart phone and order you favorite food from the best restaurant near your locality using this online food order app . TinyOwl Android food app aims to rationalize food ordering and the delivery process for its users. It helps the customers in everything from choosing the food of their choice to making the payments through different modes, tracking the order through estimated delivery time and regular status updates. This online food app has got an amazing interface. TinyOwl app allows you for paying through different payment modes. Both the debit and credit card payments as well as COD (cash on delivery) payments are accepted by this app. You can pay the amount in the way you are comfortable with. The popularity and strength of this application can be seen from downloads it had received so far. It had managed to received about 100000 – 500000 downloads so far. TinyOwl online food app had become the leader of all food apps in the market, especially in Mumbai. Food delivery Mumbai is served by TinyOwl at most of the offices as people there uses TinyOwl app to order food. It receives around 2000 orders in a day from Mumbai itself and serves thousands of customers daily. You must download TinyOwl online food order app on your Android smart phone and launch the app. 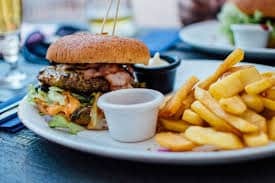 Once you had launched TinyOwl Food Delivery Mumbai app, you are ready to order the food you’re your locality in Mumbai. Select your location and start browsing through the list of restaurants that are near your locality. You can go through the menus of each and every restaurant and choose what dish you want to order. You can place orders from different restaurants too. Once you have finalized the food items, get ready to order the food by paying for it. Some restaurants might provide you with cash on delivery option. For others, you need to make the payments through credit or debit card or you can even pay through internet banking. PayTM payment option had also been added recently to TinyOwl app. TinyOwl online food app has easy to use interface which makes it simpler for users to surf through list of nearby restaurants and their menu options, make the choice, place an order and then pay for what they had ordered using the app. The best part is that you get a list of restaurants that are near your vicinity and you can order food from different restaurants with ease.